As gloomy winter days give way to the watery sunlight of spring, the temperature may still be cool but daylight hours are lengthening and the garden is certainly starting to show new signs of life. Early spring can be a hard physical time for the gardener and apart from the usual seed sowing frenzy, there can be a lot of pruning, digging and raking to be done, so it’s all too easy to overdo things. Over the winter months, the garden has been relatively dormant and so, to some degree have you. Your muscles and joints have had a rest from the gripping, pushing and pulling and they need to be eased gently back into the work. Don’t try to do everything all at once. It is really easy to get sidetracked once out in the garden and take on more jobs than you planned and no matter how tempting it is to see a task through to completion, it is best to do little and often whilst varying the tasks, to work different muscle groups and joints. Make yourself a “to do” list and stick to it. Warm up before you start physical jobs – preparing the body for what you are about to ask it to do. A few simple exercises will help to strengthen or mobilise wrists and arms, shoulders, back and legs. The Keep Moving booklet from the Arthritis Research Campaign is ideal for Arthritis sufferers. Some simple hand and wrist exercises. A range of exercise for the back, neck and shoulders. Make sure tools are cleaned and sharpened. Consider ratchet mechanism pruners which take much less effort to operate. Stainless steel spades and forks are less inclined to clog up with dirt, making them easier to use. Garden tools with a smaller blade such as a border spade or fork are usually easier to work with and their smaller area means that you are not tempted to lift large amounts of earth. Long handled tools help you avoid too much bending and larger rubber grip handles are great for those who find gripping painful. 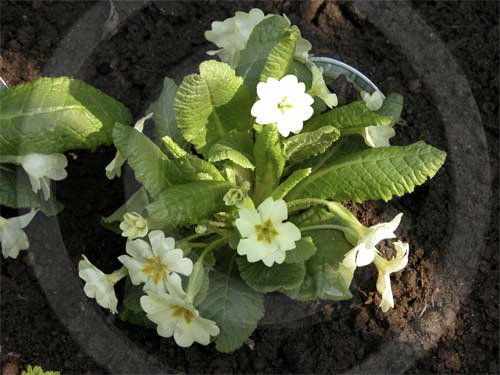 Work on a small area of the garden at a time, especially if you are taking over a new garden or allotment. 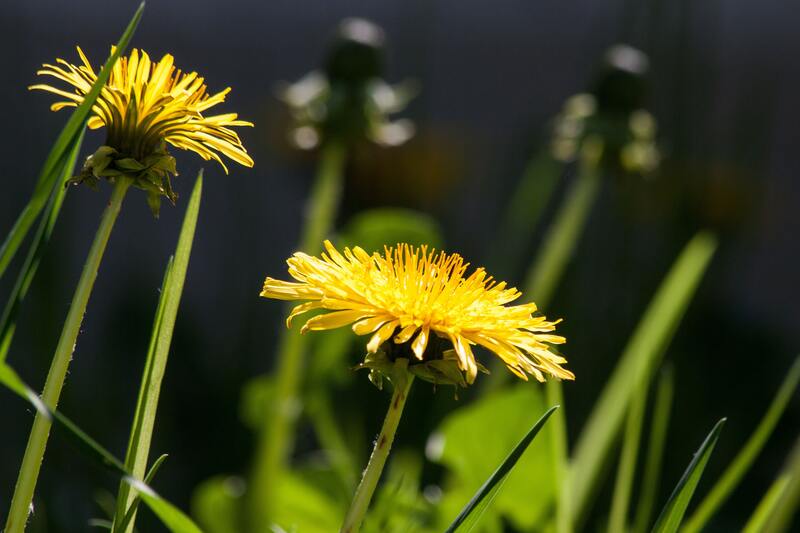 Cover uncultivated areas with ground cover whilst you work on other parts of the garden, otherwise you will spend your time constantly chasing weeds and achieving little else. Think about any changes you want to make to the layout of your garden and how you can make your life easier in the process. 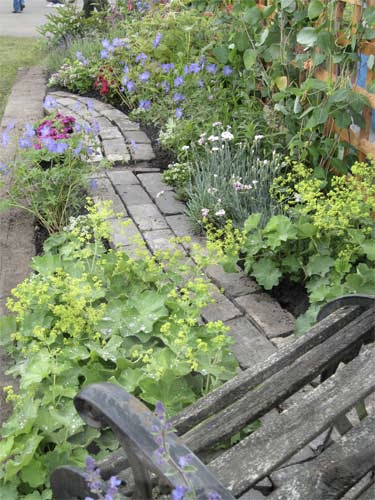 Move self seeding plants like Alchemilla Mollis away from gravel and brick paths where seedlings are hard to remove. Consider raised beds for growing your veg. Add edging strip to lawns to avoid grass growing into your flower borders. Think about getting pot bases with wheels to move planters easily around the patio – they have an added advantage of also making it difficult for slugs and snails to crawl into pots. Keep warm – cold muscles are tense muscles and working them in a tense state is more likely to result in strains and overuse injuries. Remember that your garden is for enjoying, take time to sit back and do just that! Grow Your Own Magazine – Useful information for the home veg and allotment grower. Arthritis Research Campaign – Gardening with Arthritis.